This game is played at the Unversity City High School, 6949 Genesee Ave, San Diego, CA 92122. Standley community park and Standley middle school is our back up fields. There are 3 fields in UCHS. We usually use the upper grass field behind the baseball field. There is a small parking lot for the upper playing fields. Go behind the school and drive up the ramp to reach the parking lot. Commentary Pretty casual; some people wear sneakers instead of cleats. 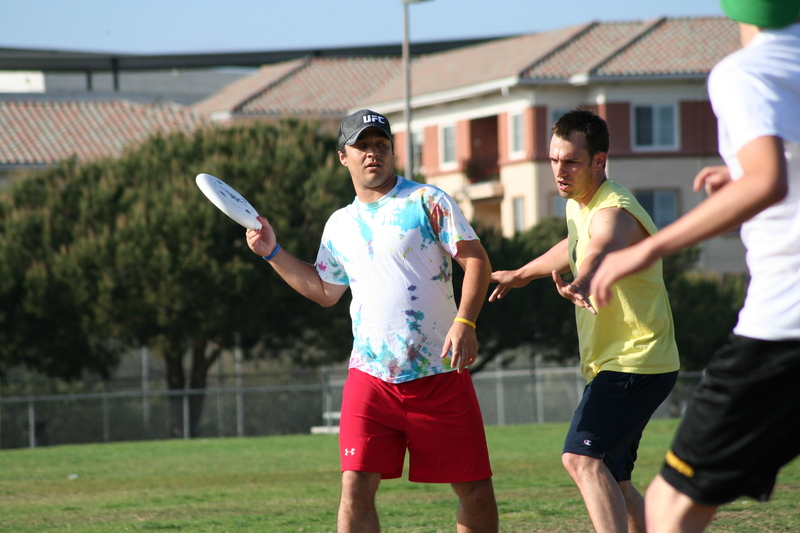 "This game was originally conceived as a means to introduce people to the game of ultimate…learning how to throw, basic rules of the game, etc. Depending on the number of people show up, we may start with a game of boot.